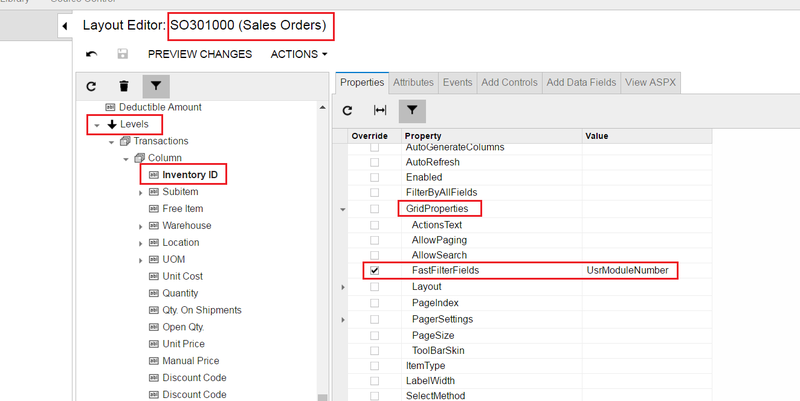 Have you seen a situation when you want to filter list in the selector by the custom field? Most probably yes, as that is quite common requirement form many different users. Here I want to show you how to do that easily based on example with custom field in Inventory Item. First of all lets add a custom field to inventory item. nothing complicated, just a custom text box. By default that field will not be shown in selector, but we can easily add it there by modifying PXUIField Attibute: Visibility = PXUIVisibility.SelectorVisible. PXUIVisibility.SelectorVisible will make that field visible in all selectors for InventoryItem. But here is important exception – if we have defined columns in selector manually, than this field will not affect anything. 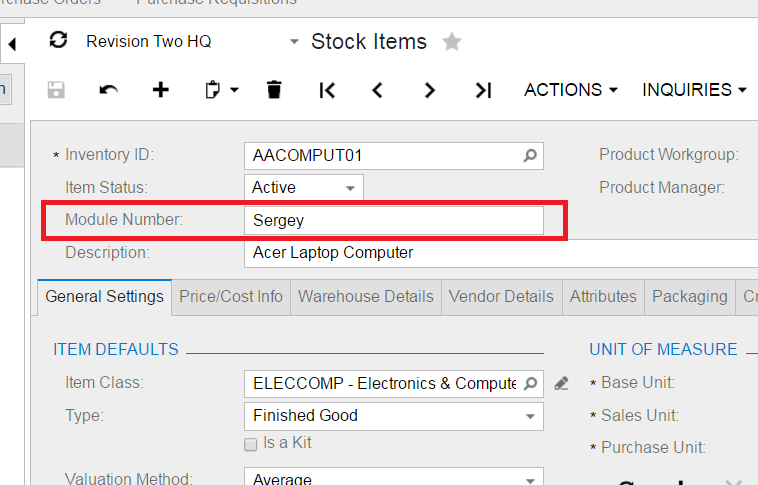 But fortunately Selector for aggregate attribute [Inventory()] does not have specified list of selector fields, so Acumatica platform will dynamically generate list of fields from DAC fields where Visibility option is marked as Selector Visible. Note: after applying that parameter you most probably need to restart whole site, as list of columns is cached in memory for all individual selectors. Now we can see that field. Now to filter by this field we just need to add in in the list of Fast Filter Fields of selector control. Fields added here will be automatically added for searching conditions during select to DB. Now we finally ready to test it. And it works perfectly. Hi Sergei! Do you know if SelectorVisible attribute changed in 2017R2? I had eerything working in 6.1, but now after upgrading to 2017R2 I do not see any custom fields in the selector. Just checked. It works fine on my 17.202.0016. Could you make sure that there is not other customization to that field? Other customization may override yours.